Availability: A mid season variety, Hyzenthly is usually available mid summer. 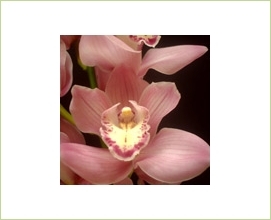 Cymbidium Orchids are the longest lasting of the commercially available orchid varieties. Cymbidiums are available year round with the majority of production coming from New Zealand from May to November and Holland from October to June. 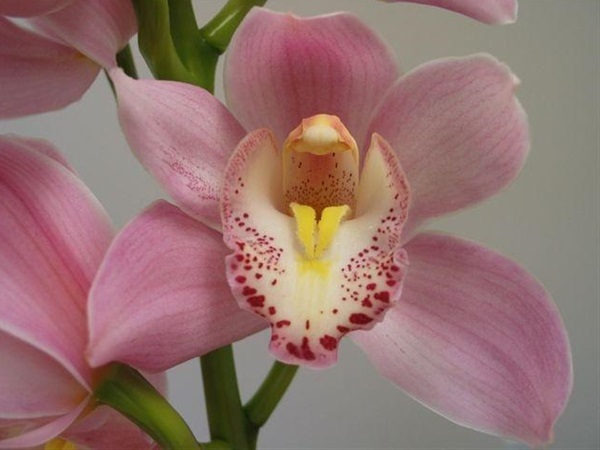 South Africa also has export prodcution of Cymbidiums from August to November. 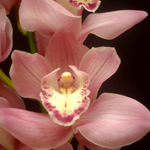 Cymbidium varieties change throughout the season and are largely classified as Early, Mid Season or Late varieties. Contrary to common perception that these are tropical flowers, Cymbidiums are best stored between 8 and 10 degrees celsius. Storage in boxes can be in an exotics cooler (12-16 celsius) or in a cold room (3-5 celsius). Cymbids stored this way seem to perform well either way. As the longest lasting commercial Orchid variety on the market, Cymbidiums give you great value whether used by the stem or the individual bloom (although they will last longer on the stem). Stems should be re-cut upon arrival and placed in cool fresh water with the proper dose of floral preservative. If storing in water tubes, the water should be changed every 3 days. When properly handled and stored, Cymbidiums can often last 15 to 20 days! Cymbids are generally graded by several factors. Minimum Stem length, bloom count range usually with a minimum stated and minimum length of bloom spike. As cymbid shipping cartons are standardized for each region of export the number of stems is very useful in assessing grade. The fewer the number of stems per carton, the higher the grade. These stems counts typically range from 6 to 15 in standard cymbids. 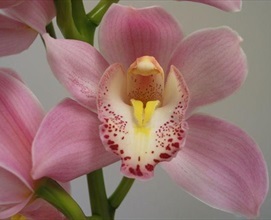 Cymbidiums should be very carefully packed and well secured to avoid bruising or tearing of blooms. Most common quality related credits come from poor packing or botrytis mold spots on blooms.